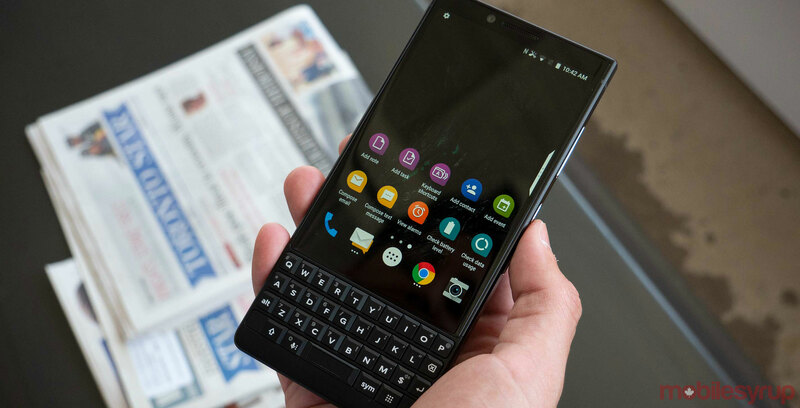 Chinese hardware manufacturer TCL Communications has officially unveiled its latest BlackBerry-branded smartphone: the BlackBerry KEY2. The KEY2 features a Qualcomm Snapdragon 660, 6GB of RAM, 64GB of internal storage and carries a 3,500mAh battery. Like the KEYone, this BlackBerry-branded handset features a physical keyboard — though this year’s model features keys that are 20 percent larger than last year’s device. Additionally, the KEY2 features a first for any BlackBerry-branded device: a dual rear-camera setup. Each shooter features a 12-megapixel lens. In addition to the device’s improved physical components, the latest BlackBerry smartphone features Android 8.1 Oreo, as well as a revised DTEK security app. Finally, the KEY2 comes pre-loaded with the new ‘Locker’ app that allows users to hide files and even other apps through an added layer of authentication and encryption. The device will retail for $829 CAD. To read our full hands-on with the device, click here.